The Trustees have to report the death of Mr Frank Berry on the 15th May 2012. Frank was General Manager ( Sales & Marketing) at Sun Life Assurance when the Sponsorship agreement was signed in 1978. A long and successful partnership commenced to the mutual advantage of both parties. Frank and his dear wife Cicely became very fond of the Band and shared many happy hours with us, notably on our annual trips to the National Finals at the Royal Albert Hall when the Sun Life banner was draped from their box. He earned great respect from us all and we treasure the support extended to the Band by both him and Cilely. In a recent letter to the Trustees Cicely said that " When the Sponsorship started it opened up a whole new world and experience for both of us " Thank you Frank for making it all possible ! The Stanshawe Band was formed in 1968 by a small group of amateur brass musicians from the city of Bristol and surrounding area. For most of its life the band was called the Sun Life Band, after receiving sponsorship from the well-known assurance company, Axa-Sun Life. Its ultimate goal was to become the very brass band in the world. 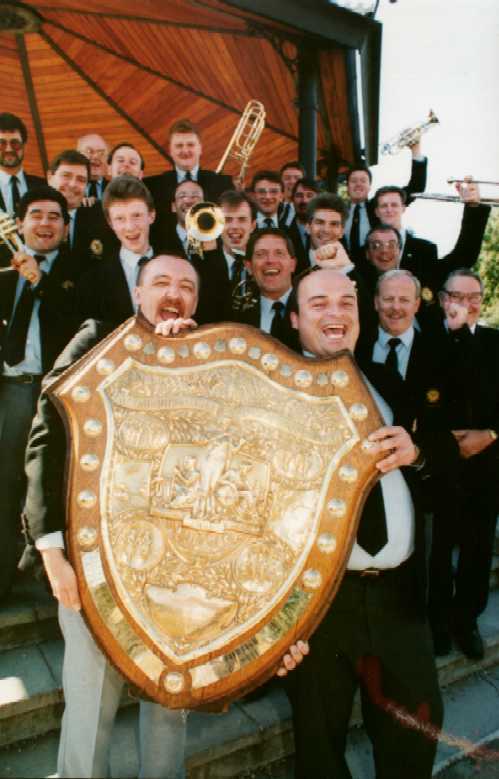 The band reached national award winning standards within only a few years and in 1990 it won The British Open Brass Band Championships, suggesting that it had become the best band in the world. In January 1997 the band found themselves in an unattainable position, where maintaining the very highest of standards was taking too high a toll, so, the band was disbanded. This web site is dedicated to the memory of this greatest of bands'. Take a listen by selecting the 'You Tube' videos below.